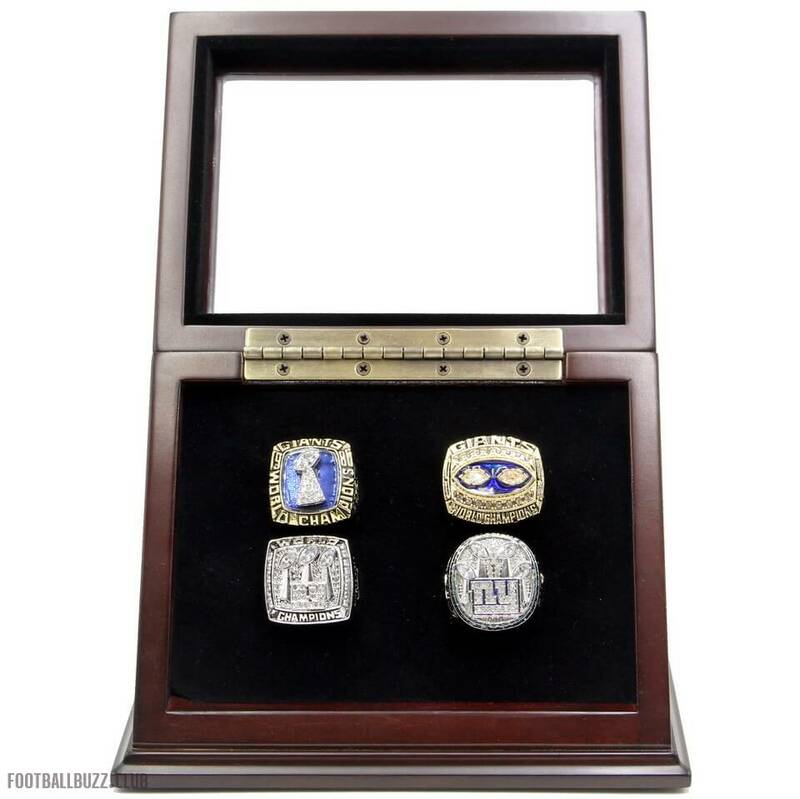 New York Giants are a professional football team of U.S.A founded in 1925 in New York metropolitan area Giants is the longest established team in United States. 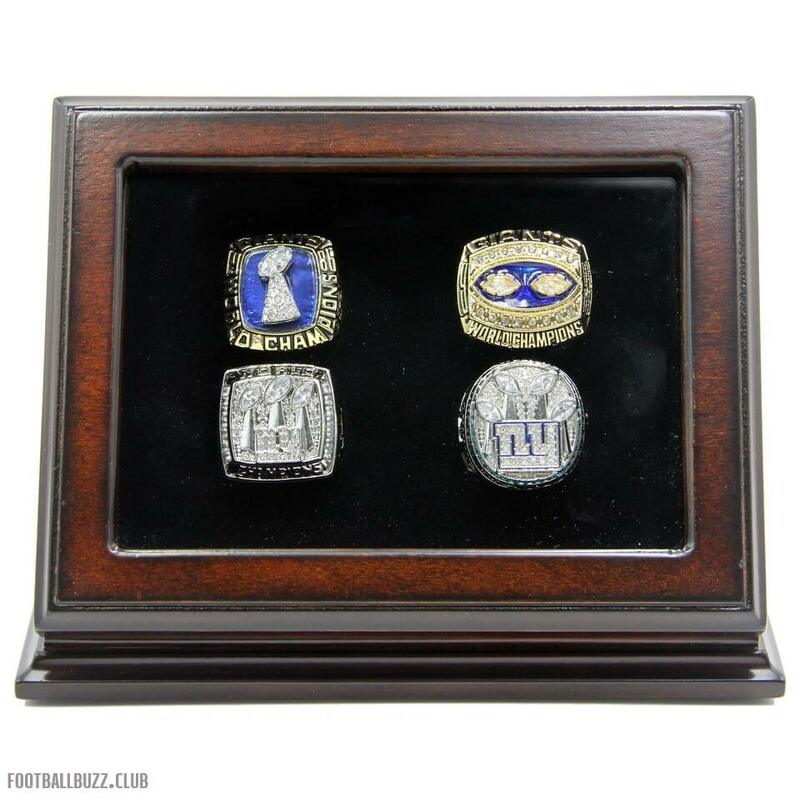 As a member of the NFC (National Football Conference), New York Giants won four times Super Bowls, Super Bowls XXI (1986) 39:20 beating Denver Broncos, Super Bowl XXV (1990) against Buffalo Bills with 20:19,Super Bowl XLII (2007) VS New England Patriots by 17:14, and Super Bowl XLVI (2011) 21:17 beating New England Patriots again. 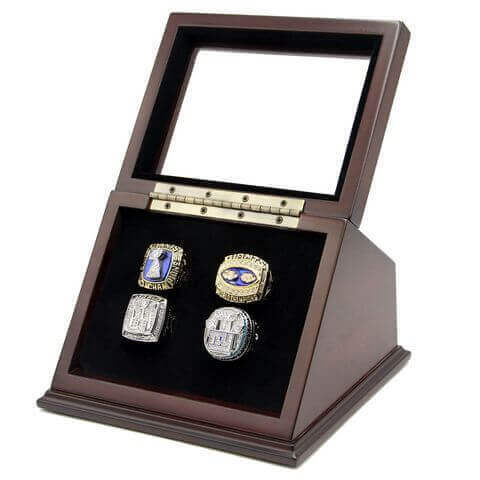 NFL 1986 1990 2007 2011 New York Giants Super Bowl Championship Replica Fan Rings with Wooden Display Case Set includes all Super Bowl championship rings of New York Giants, which is represent the honor of the team with NFL 1986 Super Bowl XXI, NFL 1990 Super Bowl XXV, NFL 2007 Super Bowl XLII, NFL 2011 Super Bowl XLVI . 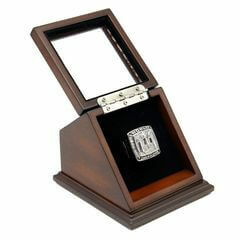 With the beautiful wooden display case to make the ring display with pride. 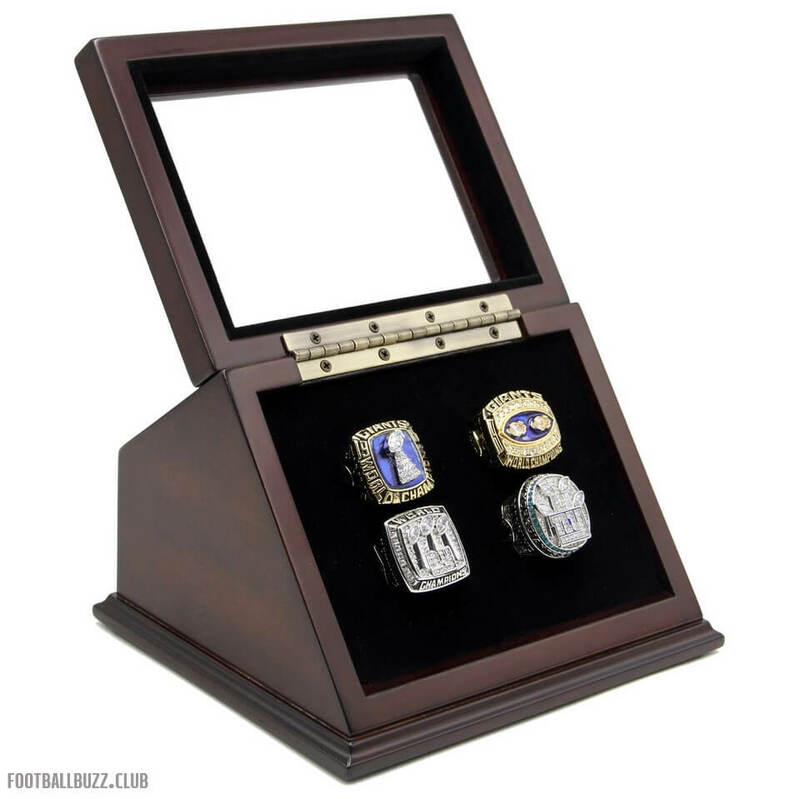 For most of the fans of New York Giants , the display case set would be a unique and a great gift to your friends and families, it is a truly one of a kind item that would stand out in any New York Giants football collection. 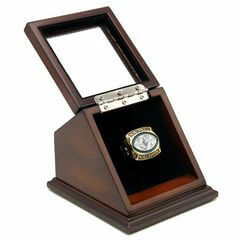 NFL 1990 Super Bowl XXV was started on 27th January in 1991, between NFC champion New York Giants an..